Helen Eaton was named one of the Top 30 Innovators in 2016 by Musical America Worldwide, and was recently featured in the CEO interview chapter of Dual Transformation published by Harvard Business Review Press for her work in building systems of innovation at a legacy institution. Since her arrival, Settlement has increased its financial aid to students—more than $2.6 million each year; launched a comprehensive community engagement effort that has resulted in dozens of partnerships across the city; and initiated significant new programming, receiving major local and national funding. Our Mary Louise Curtis (MLC) branch is the oldest and largest branch of Settlement Music School. Each year, MLC hosts 65+ student performances, 150+ meetings and workshops, 120+ community partner events and 15 artist master classes. It is also the primary site for the Rhythm n’ Brews Community Drum Circle and Social Hour and it is home to our award-winning Kaleidoscope Preschool and After-School Program. Our Germantown Branch is our second oldest site, after Mary Louise Curtis, and was founded in 1958. It is home to our award-winning Kaleidoscope Preschool program and it hosts an extremely eclectic mix of programming, which includes large string ensemble programs, as well as rock and jazz ensembles. 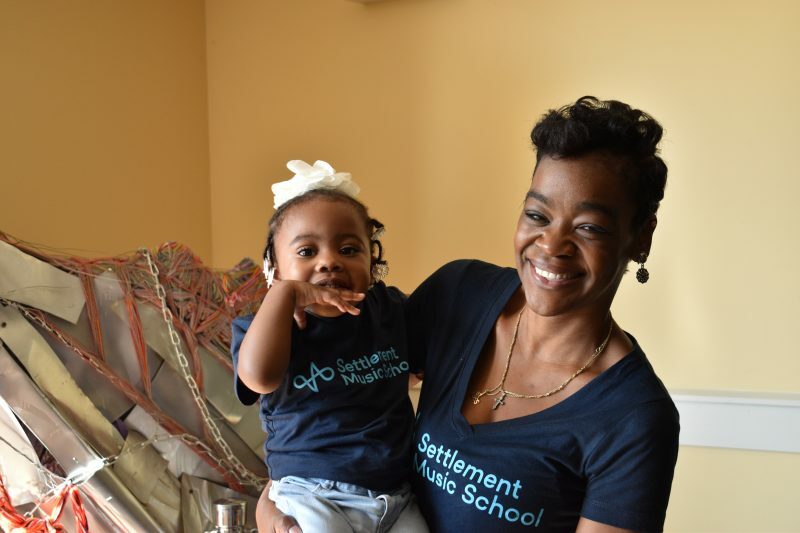 Our Kardon-Northeast (KNE) branch serves a diverse community within Northeast Philadelphia and is the main hub of Settlement Music School’s arts therapy program. Partnering with many off-site local institutions and facilities, the Branch strives to meet the various needs of our students with programs such as early childhood music classes to a variety of senior offerings. Our Willow Grove Branch is housed in our most modern facility and boasts many chamber ensemble program offerings along with a thriving Adult Chamber Music program. Serving a fast-growing diverse population of students of all ages in Montgomery County as well as Bucks, Philadelphia and other neighboring areas, the Willow Grove Branch strives to support the programs already in place in local school districts, supplementing and partnering with local schools and organizations. Our Wynnefield Branch is a musical hub for students between the Main Line and Philadelphia. With programming offered to students as young as 6 months and as old as 98 years, Wynnefield has something for everyone. This Branch currently houses many of Settlement’s jazz ensembles, including two Advanced Study Jazz ensembles, coached by Tony Miceli. Located in the Creative Arts Morgan Village Academy (CAMVA) on Morgan Boulevard, the Camden Branch is the sixth branch of Settlement Music School. The Camden Branch is a product of partnerships with the Camden School of Musical Arts in East Camden and CAMVA.